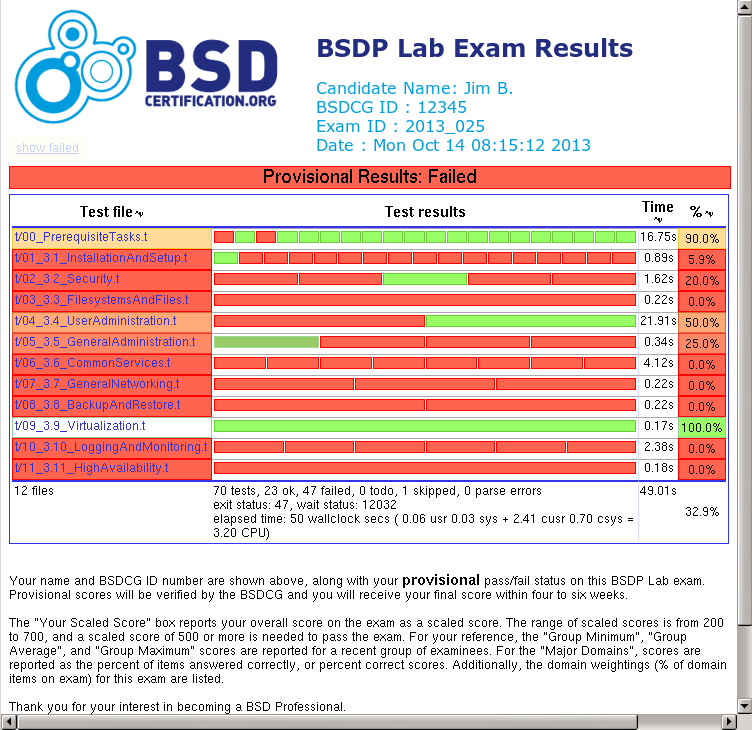 Work has progressed steadily on the BSD Professional Lab Exam. You may recall we've discussed this before. Well, the exam is almost ready. 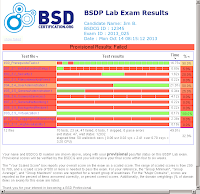 We have an exam booklet, which is based on the BSDP Exam Objectives. 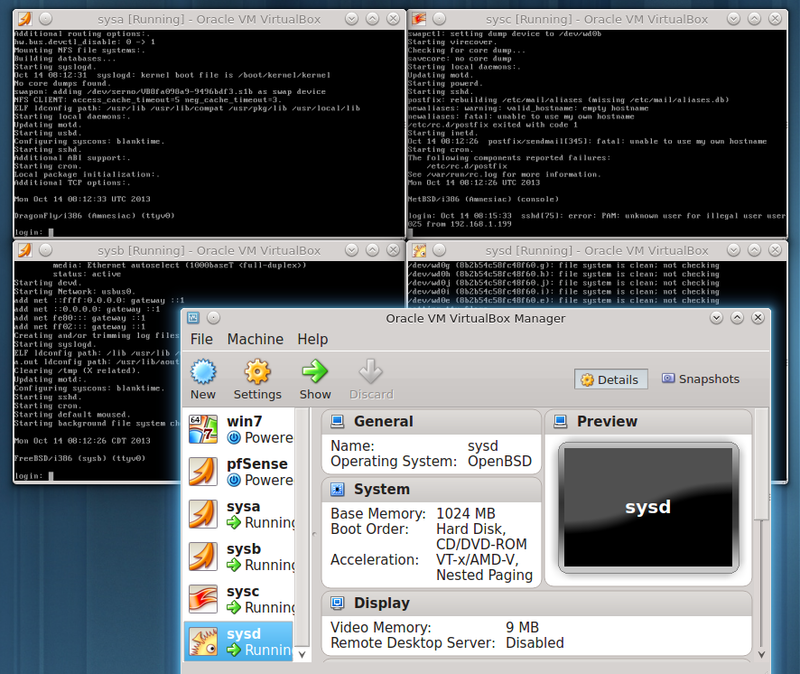 We also have a working exam station with several virtual machines. The scoring procedure makes use of Net::OpenSSH with scripts to examine each virtual machine for results. And, we have a sample provisional report (based on TAP::Formatter::HTML) that can provide some hopefully gratifying instant feedback, though that report is unofficial. For our official score report, we are again working with our psychometrician, Dr. Sandra Dolan, to provide valid psychometric scoring. This ensures our program maintains its high standards and also keeps us in line with requirements for ANSI 17024 accreditation. We will have a demo available at vBSDCon coming up Oct 25-27, 2013. We will also have the demo available at LISA 2013. If you are at either of these cons, stop by for a test drive to see what the BSDP Lab Exam is all about.